One of the requirements of the scholarship is that each scholar provides us with a reflection on their experience and we will be providing those reflections over the coming weeks, grouped by State or Territory. One Northern Territory scholar attended the 2018 Crawford Fund conference supported by our NT Committee. 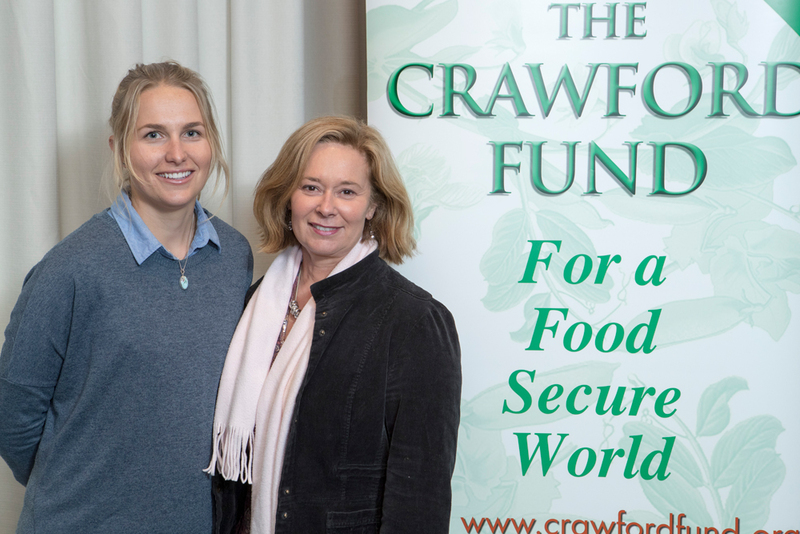 The 2018 Crawford Fund conference was my first of hopefully many. It was an inspiring experience to be immersed in the world of international agriculture research and development, with presentations from many amazing leaders about the big issues facing our world’s poorest regions. I was extremely impressed with Dr Anna Okello’s (ACIAR) presentation on the role of the livestock sector in nutrition. She highlighted the importance of livestock in developing regions and brilliantly navigated a potentially difficult topic, especially following the morning keynote by Dr. Alessandro Demaio (EAT Foundation) who highlighted the need for humans to consume less meat. The presentations were well balanced (NGO’s, government, private sector, etc.) and led me to think with a more global perspective. The atmosphere of the conference was welcoming and everyone was extremely supportive of the scholars’ attendance (there were 44 of us!). I was excited to see an aquaculture case study make the program as this is a sector that is often overlooked in agriculture. Dr. Jessica Bogard (CSIRO) and Dr Shamia Chowdhury (WorldFish) highlighted the need to take a nutrition-sensitive approach in fisheries and aquaculture, and to investigate the nutrition of the produce we are already consuming. Mola fish are readily consumed throughout Bangladesh but the vitamin A is in the fish eye and head is typically discarded. If whole Mola fish are consumed it could have big impacts on improving micronutrient nutrition, especially in women and young children. The scholar activities were impressive, and, coming from the Northern Territory there is nothing like it offered locally. All the mentors were extremely supportive and approachable. For people in such senior and important positions to take the time to be genuinely interested in and supportive of young researchers is really something special. I was lucky enough to have Tania Paul (Charles Darwin University) as my mentor. She was exceptional and introduced me to many people I would never have otherwise had the opportunity to meet. A highlight from the scholars’ activities were the honest words of Philmah Seta Waken (NARI, Papua New Guinea) about the attitudes of scientists working in developing countries: “don’t be a know-it-all”. Everyone laughed at the honesty of it but I am sure everyone who has worked in the sector has seen it happen too often. I really enjoyed the opportunity to meet such a diverse range of passionate people. It amazed me how many early career opportunities there were to get into international agriculture research, as I am sure this is not the case for many other science sectors. I think everyone immensely appreciated the effort, time and dedication the Crawford Fund and RAID put into all the scholar activities. It is a unique and extremely rewarding team to be a part of, and I will be highly recommending the conference and scholar program to my friends and colleagues.